Amal is wearing an Alexander McQueen top and Cartier earrings on the cover. With the exception of the photo of Amal her lying down and reading I think she looks tired in every photo including the cover. The home looks and sounds beautiful. Her humor came out in the interview. The several examples made me chuckle. 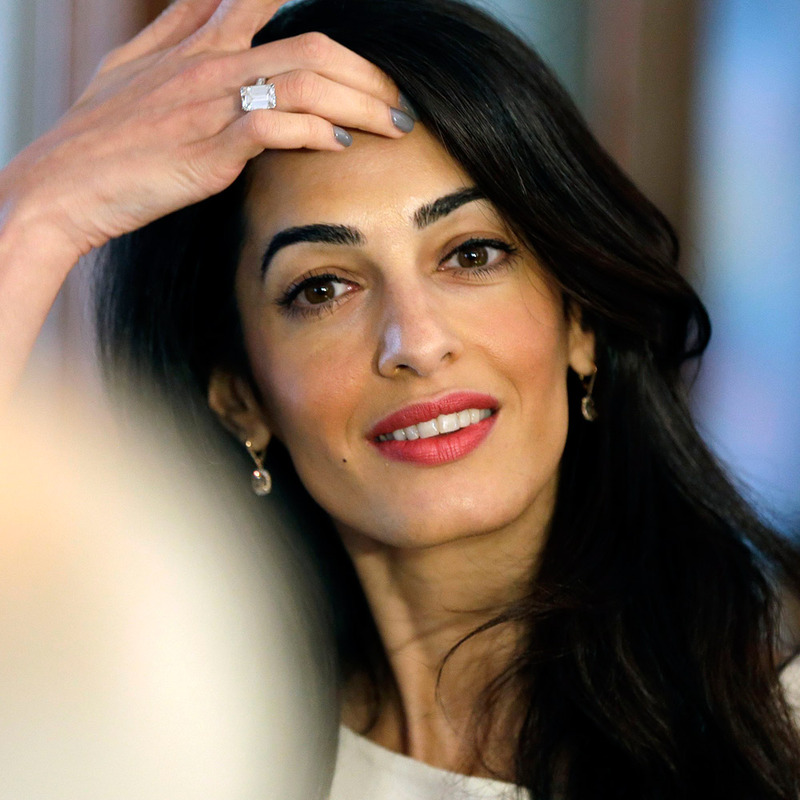 I liked this interview with Amal very much. My favorite photos are the two of her in the red sweater and black leather pants, as well as the photo of her reading on the couch. They make her look down-to-earth. Well played Amal. Keeps the focus on her causes and doesn’t give anything away. The writer makes it seems as if she just popped into the mansion and they had a lovely chat. What? Nadia Murad just happened to be there? George who is on a different time zone just happened to ring as they sat down. Of course it was much more set up and planned than they try to make it appear – the Clooney’s are very strategic when it comes to their image. Part of me was disappointed not to see fashionista Amal is some glorious, drop dead haute couture (it’s Vogue people!) but I can see why she resisted the temptation – and I am sure for someone who loves out there fashion as much as she does – it must have been a temptation to really go wild with fashion. Can’t wait to see the Met Gala Dress. Does anyone know where her glasses (second picture) are from? Yes wondering the same !!! Kind of a let down for Annie Lebowitz. The polka dot gown and the photo of her with Nadia are awful. I do like that she is not over posing like a super model. Oh gosh! Beautiful red top. I don’t know how you you keeping up with all the outfits Nati, considering this is not your full time job? It’s Amal fashion month! The online issue is up!